Contrary to some other states’ examples of the law, Florida’s wrongful death statute is somewhat circumscribed as regards who can bring suit to recover damages. It does not exclude spouses, however – to do so would rather defeat the purpose of a wrongful death cause of action. Indeed, spouses have certain specific rights when bringing suit against someone who allegedly caused the death of their loved one by their negligence. One important thing to keep in mind as a spouse is that there are two different types of wrongful death action under Florida law, and in all but the rarest circumstances, a spouse must choose which one to pursue. A survival action is an action intended to preserve the deceased’s rights – in other words, one sues in a survival action for the things the deceased would have sued for had they lived. For example, many survival actions seek damages for injuries like pain and suffering, and also for medical expenses or loss of wages or earning capacity. If the suit is successful, the proceeds are paid to the deceased’s estate. Comparatively, a standard wrongful death action is brought for harms that the deceased’s loved ones and family have suffered as a result of the sudden passing. Causes of action such as loss of consortium, mental anguish, and loss of future earning capacity are those pursued in a standard wrongful death suit, with the first being under the sole discretion of the spouse – in other words, loss of consortium is the exclusive province of a spouse in terms of bringing suit. If the suit is successful, the damages paid are the property of the deceased’s family, not the estate, and will be distributed according to the regulations on the books. One unusual feature of Florida wrongful death law is that recovery may be barred or limited for a spouse if there were documented issues within the marriage. If evidence can be introduced showing that the deceased and their spouse were on bad terms, or that there were separation plans in the proverbial cards, it can negatively affect a person’s recovery. Florida law explicitly states that evidence of “remarriage of the decedent’s spouse” is admissible in any relevant proceedings. One might ask why intent such as this is admissible, and what bearing that may have on a wrongful death case, if no foul play is alleged. It may sound facile to say, but in order to collect on a wrongful death claim, you must have been legally married to the decedent when they were killed. If there is evidence extant which incriminates a desire to break away, it can undermine a spouse’s sincerity and credibility, whether fair or not. As such, it is a generally good idea to be honest if there was any discord in the marriage, because then at least the judge or jury has all the relevant truths. Losing one’s spouse to the negligence of another person is an experience no one should ever have to go through. If you do, however, you need an attorney that will fight for you. 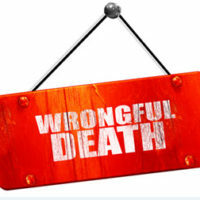 The Orlando wrongful death lawyers at the Hornsby Law Group know the relevant areas of this law and will do our best to put it to work for you. Call the office today to set up an initial consultation.